O wow. 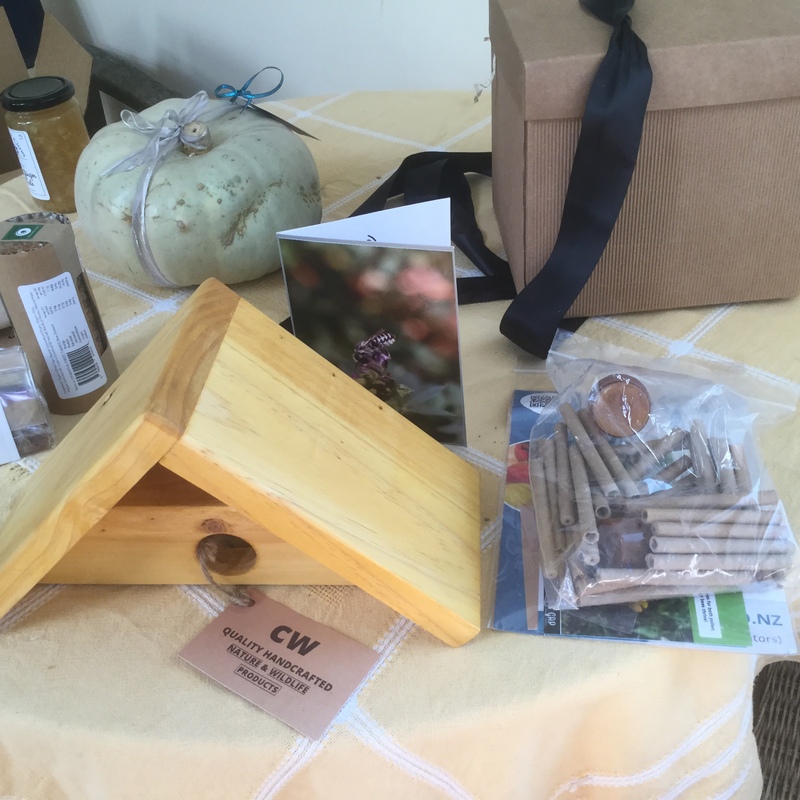 Someone gave me a bee chalet, for solitary leaf cutter bees. Here it is: the next best thing to a honey bee tree hive, for me. There it is, now, up on the grapevine wall, near the pear tree, the harakeke/flax in flower, the rosemary, forget-me-nots. The dormant leaf cutters are inside the little hole and they will settle in the tiny cardboard tubes in the diagram when they hatch. I hope. And I hope they love all the nearby parsley flowers, too like the bumbles and an occasional honey bee (very few around this summer). They love the flowering fennel, too. I wonder what a parsley/ fennel honey tastes like? Is it super-healthy? There are bumbles out on the zigzag,too. In among the thyme. And more parsley flowers. And then there’s the clover. I didn’t have much clover in the past and I used to pull it out. Even though I knew about clover honey, it’s a weed, in a lawn, I thought. But suddenly there’s a whole lot more and I’ve learned that clover is pollinated by bumble bees, so maybe it’s a sign that the bumble bee numbers are increasing. Clover also also fixes nitrogen, which is good for the soil, on the zigzag especially. So I’m letting it flourish. If you’d like any parsley seeds, I’ll be posting them out and delivering them in a couple of weeks. Just let me know.